The Police are only investigating one threat against Emma West, despite the Crown Persecution Service claiming there have been a number of threats. When asked about the investigation into death threats to Emma, D.I. Paul Kerr of Croydon Borough Violent Crime Team said “So far I have had around 30 complaints in relation to one particular posting. This is the posting that is currently under investigation.” D.I. Kerr wouldn’t say if this had been reported by the CPS. 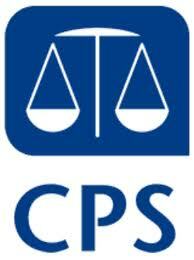 It would appear that the CPS felt the threats were serious enough to be the only reason for remanding Emma, but didn’t consider them serious enough to report them to the Police. Fortunately Emma has now been released on bail by the Crown Court, to spend Christmas with her family. The local media have been entirely one sided in the reporting of this story. The Croydon Advertiser reported on the case and completely failed to mention the fact that she was remanded for her own safety, due to alleged death threats and even condemned several groups for supporting her. The Advertiser has never questioned what happened to start the confrontation or why ethnic’s don’t get arrested for similar or worse on public transport. In contrast, Viktor Kovacs a man accused of masturbating outside a school, in view of children, stood smugly in the dock with a bag that had an anti-CCTV slogan on it. He was bailed to appear at Croydon Crown Court on 20th January next year with the only condition that he doesn’t go within 50m of St Philomena’s Catholic High School for Girls or Pound Street, Carshalton, with no mention of other schools, parks or places with children. This happened in the same court on the same day as Emma West was remanded yet none of the local papers reported the story. They clearly see swearing on a Tram as worse the paedophilia.